On November 1st 2015, AFTF signed an agreement with Ministry of Islamic Affairs, to donate 6 mosques in the Maldives. Further to this AFTF later agreed to build the mosque at HDh. 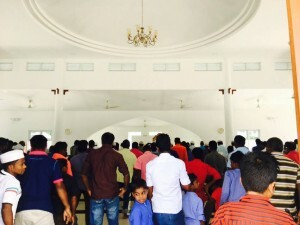 Hanimaadhoo. 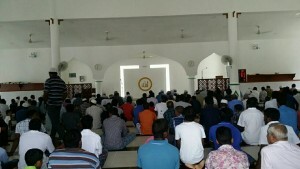 Among these, the mosques at L. Maamendhoo, R. Hulhudhuffaaru & M. Mulah was opened on Friday 26th May 2017, for the Friday Prayers. 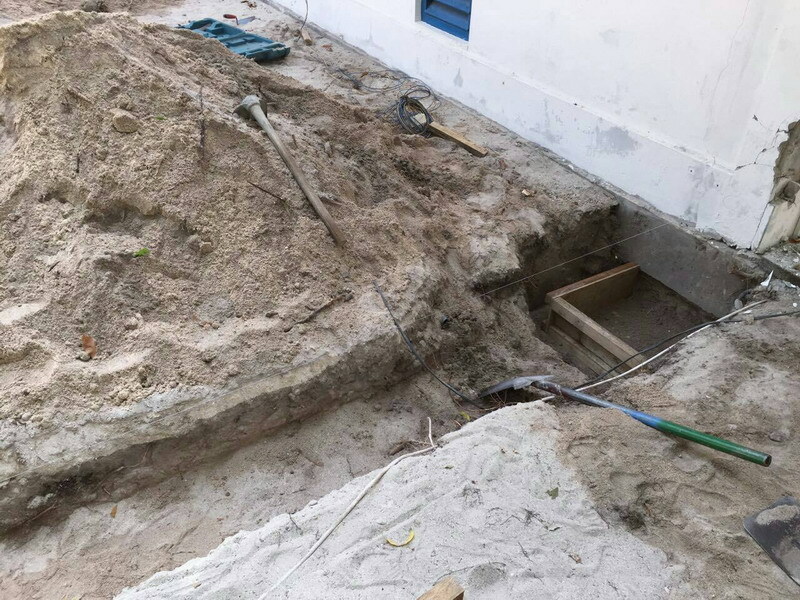 Work for L. Maamendhoo Mosque commenced on 30th November 2015, while the mosque was handed over to Ministry of Islamic Affairs on 08th February 2017. 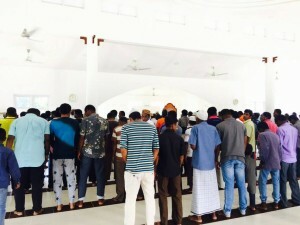 The mosque at L. Maamendhoo will have the capacity to hold 300 people at a time and will become the main mosque at the island. 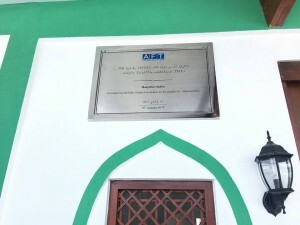 The council has named the mosque “Masjidhul Hudha”. 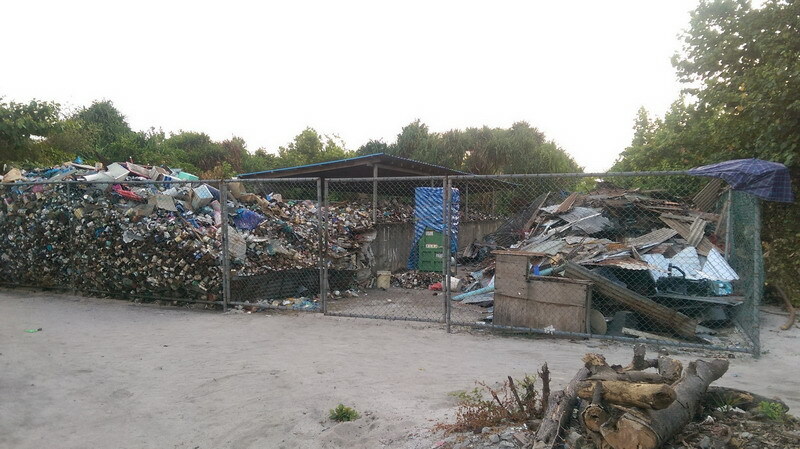 L. Maamendhoo has a population of roughly 1400 people, while around a 1000 live in the island. 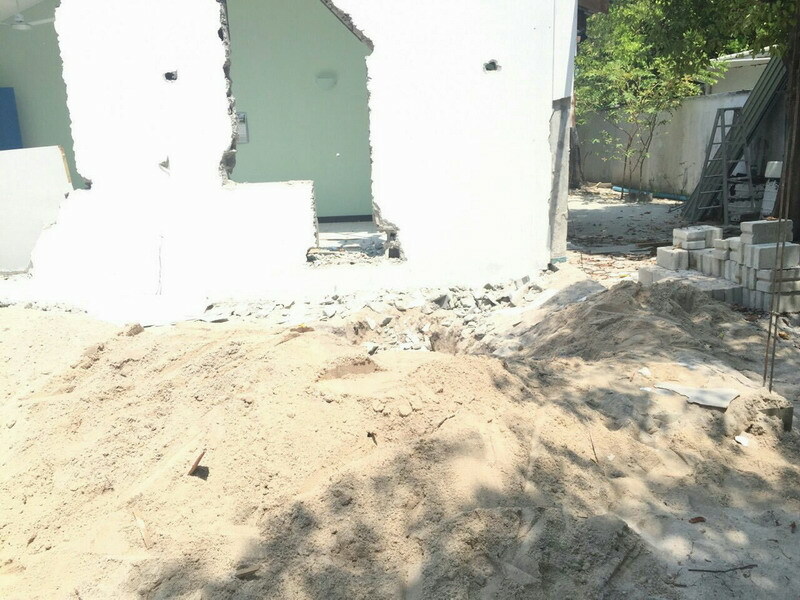 For the mosque at R. Hulhudhuffaru, work commenced on 8th March 2015 and was handed over to Ministry of Islamic Affairs on 08th February 2017. 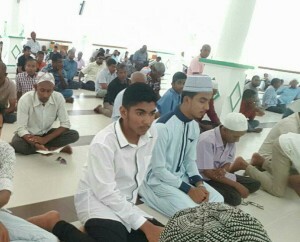 The mosque at R. Hulhudhuffaaru will have the capacity to hold 500 people at a time and will become the main mosque of the island after its inauguration. 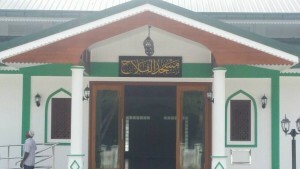 The council has named the mosque “Masjidhul Noor”. 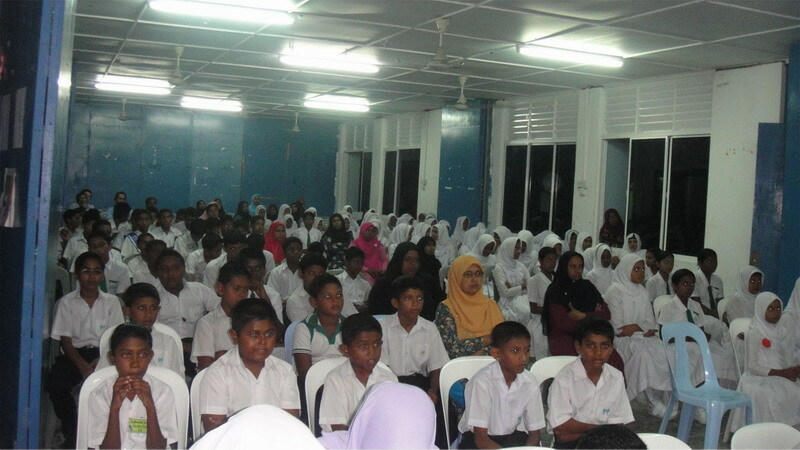 R. Hulhudhuffaaru has a population of around 1800 people. 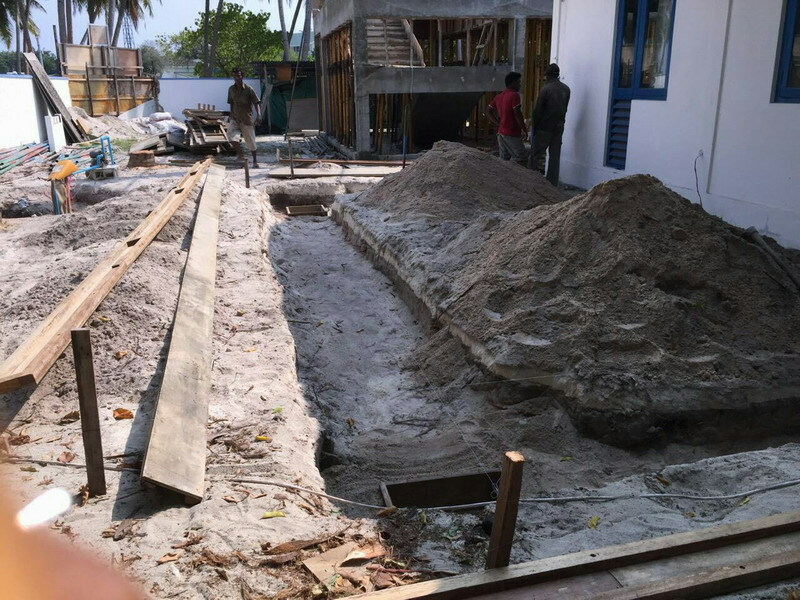 Work for M. Mulah Mosque commenced on 6th April 2016, and was fully completed and handed over to Council on 14th May 2017. 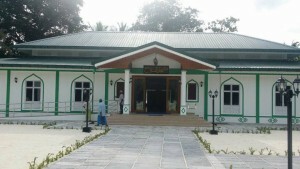 This mosque will have the capacity to hold 700 people at a time and will become the main mosque at the island. 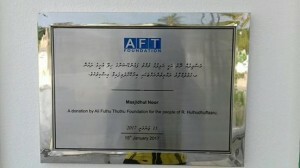 The council have named the new mosque, “Masjidhul Falaah”. Out of the 7 mosques that AFTF will be building, 4 Mosques have been completed and handed-over, while the remaining 3 mosques will be completed in the 3rd Quarter of 2017.